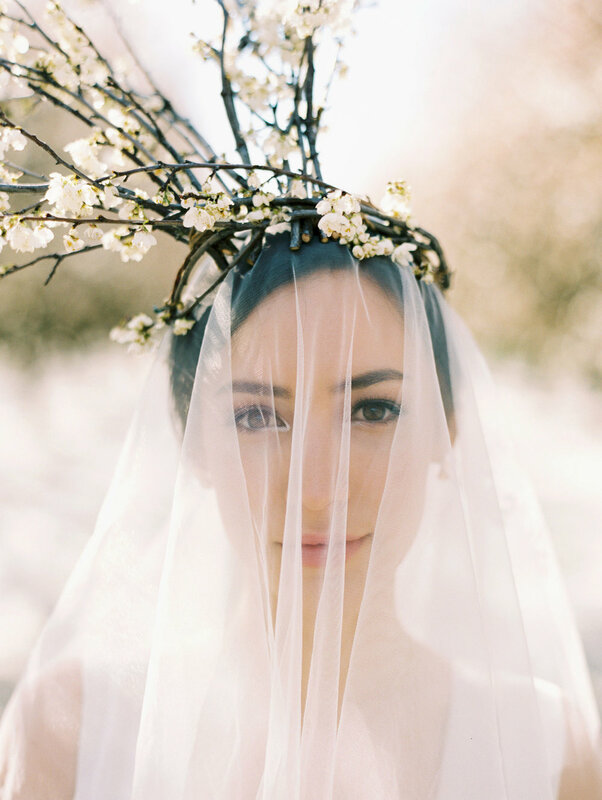 This editorial shoot designed by Olea & Fig was inspired by the romantic blooming almond orchard. 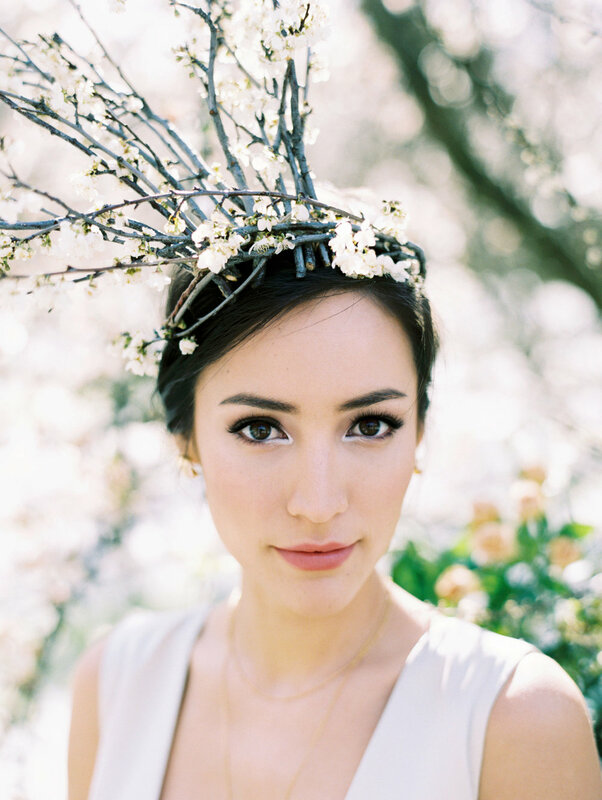 From the designer, “The almond orchid symbolizes purity, strength, and hope. To further accentuate the beauty of the vast white orchard, a combination of black and red were applied to showcase energy, strength and power, and also for a modern, high fashion twist. In addition to the video, here are a few film images I photographed with my Contax 645 and 80mm lens.